Ski-Base is an independent luxury operator and Chalet de la Cloche was the coming together of a passion for skiing and a concept that held exuberant luxury, fantastic food and outstanding service at it's core. Situated in the middle of the oldest and most authentic village in Espace Killy, Cloche really is a jewel in the crown of this world class ski region. Standing at the gateway to Espace Killy, Chalet de la Cloche is cutting edge, combining the latest technology with sumptuous and decadent furnishings. 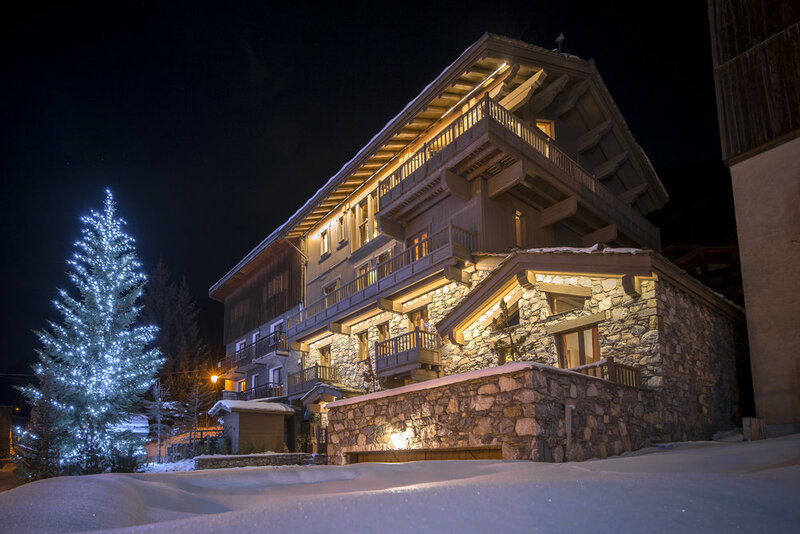 Built in 2007 it has received plaudits from industry heavyweights, being one of both the Sunday Times and Conde Nast Travellers top 10 chalets in the Alps and it is recognised as an outstanding destination in one of the greatest ski areas in the world. The chalet boasts a huge open plan top floor salon, 8 double bedrooms with large bathrooms, Tempura mattresses and Egyptian cotton bedlinen, an indoor and outdoor spa with a swimming pool, jaxuzzi, sauna and steam room. Never resting on their laurels, la Cloche undertakes yearly updates and improvements to ensure that it is always at the equipped with technology at the forefront of home entertainment and comfort. In 2018 a new gym and treatment space is planned.